At CashLady, we have worked with millions of people to help them find the best deal for finance. Here is everything you need to know about cheap loans. There are many different types of loans. The term "cheap" usually refers to a low APR or interest rate. In reality, loans are never "cheap". The price you pay depends on your credit history, the level of risk involved for the lender and the type of collateral for the loan. 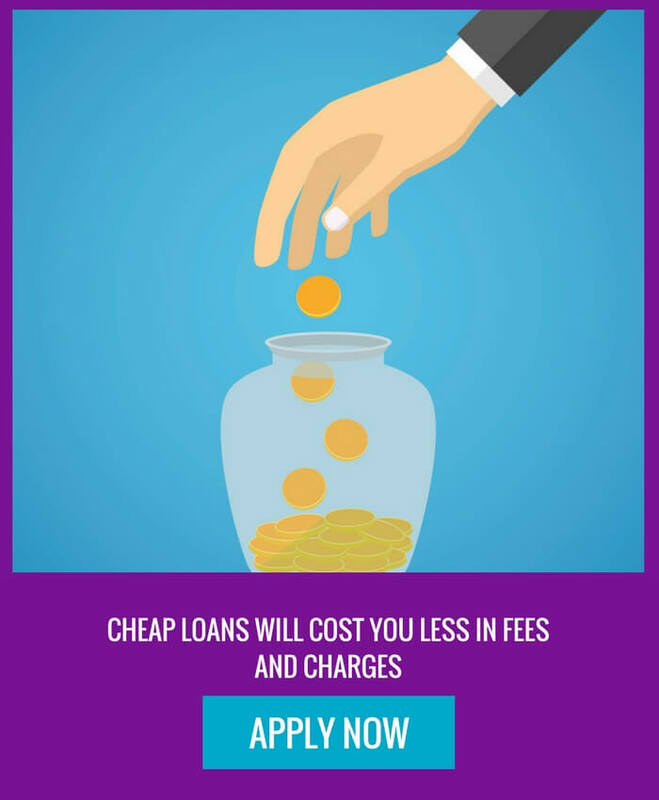 Cheap loans are a usually a type of loan where the interest rate is low or competitively priced and where any loan fees you pay are low or are free (for example, default fees, arrangement fees, early repayment fees, and so on). People often need access to small loans which are rarely cost effective if borrowed over longer period. When interest rates and loan fees are either low or competitively priced, the amount of money you pay back to the loan company as a whole is lower than another loan with higher charges. Generally, the shorter the period of time you borrow money over, the more expensive it is. For these types of loans however, you are entitled to a number of different legal protections to make sure you do not pay too high an amount for your loan and that you are treated fairly. UK Cheap loans are provided by companies registered with the Financial Conduct Authority (FCA). What protections as a borrower do FCA-registered loan companies offer you as a consumer? Many of these companies do not charge default fees or early repayment fees – that is when you pay off the loan in full quicker than you agree to. Some lenders (and brokers) charge an arrangement fee - that is money which you pay to the lender or the broker for arranging the loan for you. In most cases, the arrangement fee is taken from the sum of money you are borrowing. For example, if you borrow £500 and there is an arrangement fee of £25, you will normally receive £475 into your account when the loan is transferred. What type of loans offer low interest rate? The type of loans that offer low interest rates are secured loans and unsecured loans. As we will cover later in this article, with a secured loan, you offer something to the lender that they can take away and sell if you are unable to make the repayments. These loans offer low interest rates in comparison to loans you have not offered any security on (also known as unsecured loans) because the lender is less likely to get its money back if you cannot repay the loan. Do I qualify for a low-cost loan? Not everyone will qualify for a low-cost loan. 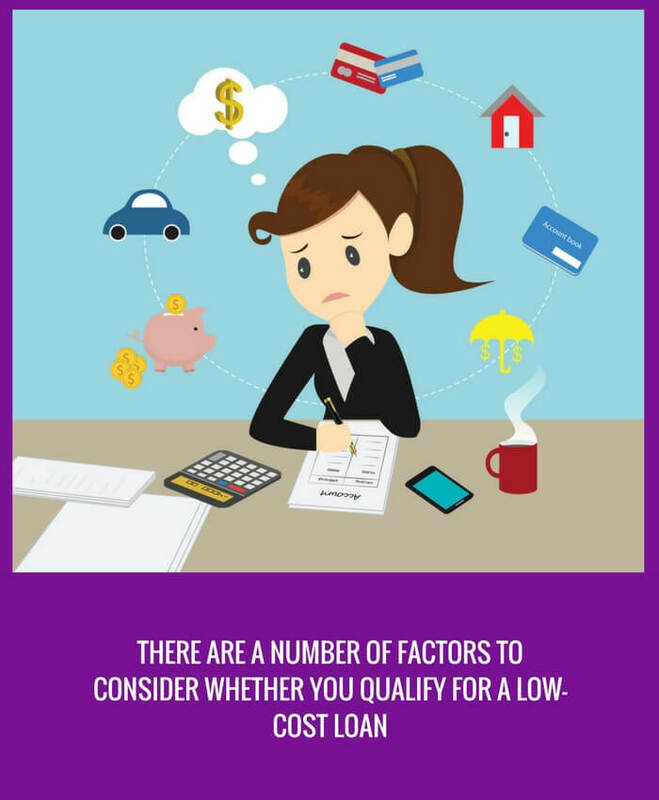 There are a number of different factors that will decide whether you qualify for a low-cost loan. To qualify for a low-cost loan with a smaller interest rate, what would a lender be looking for? If you meet all four of these, you are more likely to be offered a cheaper loan. The fewer criteria you meet, the less likely you are to get a "cheap" loan. Having a poor credit rating doesn't mean you can't get a relatively cheaper loan. 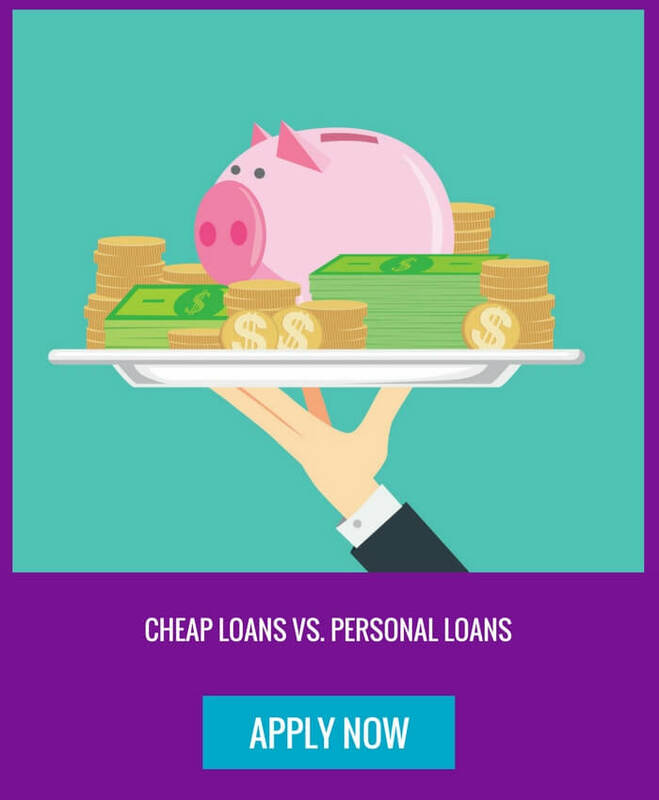 At cashlady we prioritize both APR and chances of being accepted for a loan so you still have a good chance of getting a loan at an affordable price. Some customers are able to minimize the interest and APR for their loans by taking a guarantor loan or a logbook loan. In both cases the lender has further collateral for lending to you and less risk is involved, hence the lower APR. Cheap loans through a direct lender are available online. You can find providers by doing a Google search. To make your application direct (just as you would with a specialist broker like CashLady), you have to provide certain details, so they can consider whether they will set up the loan for you. What your monthly outgoings are like (mortgage/rent, rates, gas, electricity, and so on). Once you have provided your information, they will do a credit search before they make you an offer - more on credit searches later. If everything is OK, they will then contact you to let you know how much they will lend you and what your monthly repayments are. One word of caution here though - even if you have a great credit score, your chances of getting a loan will go down if the companies you are applying to for your loan see that you are making lots of other applications elsewhere. When you go through a specialist broker like CashLady, only one credit search will be made which, in many cases, will increase your chance of getting the right loan for you from the right provider at the right price. Is a cheap loan another name for a personal loan? 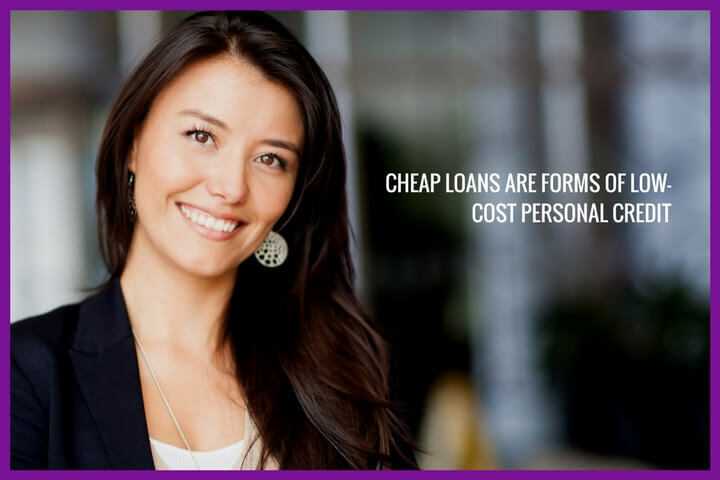 A cheap loan is not another name for a personal loan. any additional fees charged by your loan provider and, if you used one, a broker. (CashLady does not charge broker fees or fees of any kind to our customers, whether they take a loan out or not). You will generally find the cheapest loans through banks and building societies, but they normally require you to borrow large sums of money over a longer period of time and for your credit rating to be really good. If your credit rating is not really good or you do not have a credit rating, you will generally have to pay a higher rate of interest on the loan you are given. How much you pay depends on the loan company you apply to and how closely you match their “profile” of the type of customer they like working with. Do I need a guarantor to apply for a cheap loan? You do not need a guarantor to apply for a cheap loan. What are ‘guarantor loans’? That is when someone vouches for you that they will pay back your loan if you are not able to. For example, if you become unemployed or you develop a long-term illness and you tell your loan provider that you are not able to make the monthly repayments, they will then ask the person who vouched for you to pay your loan off instead. In the UK today, out of every 1,000 loans made, only a tiny proportion of those loans are guarantor loans. In most cases, it is possible for you to get a “yes” to a cheap loan without having to ask a guarantor to make your payments if you are not able to. Inexpensive loans secured are loans offered where you offer the lender something they can take from you if you fail to keep up repayments on your loan. When they take the security from you, they will sell it and then subtract the amount they sold your security for from the money that is outstanding on your loan. 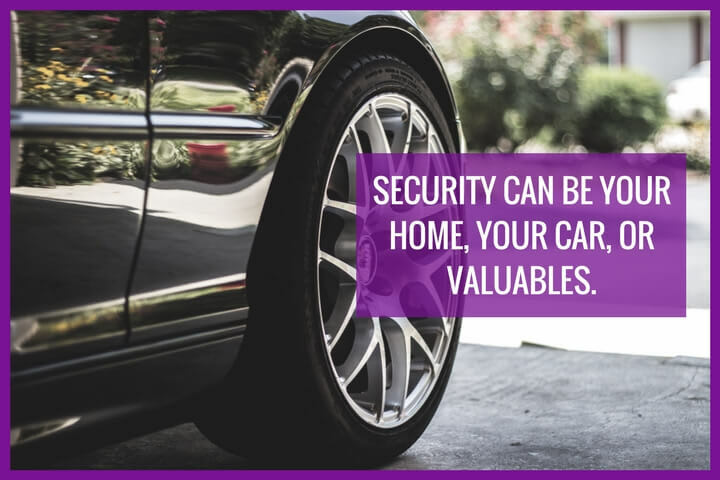 Security can be your home (like with a mortgage), your car (like with a log-book loan), or valuables (if you use a pawnbroker). The reason that inexpensive secured loans are cheaper than unsecured loans is that your lender has that extra bit of comfort that they can try to make their money back by selling what you have secured on the loan. Can short-term finance be cheap? 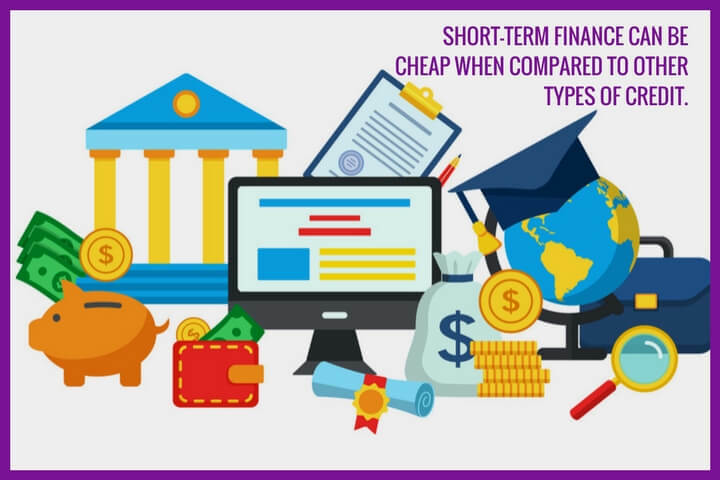 Short-term finance can be cheap when compared to other types of credit, for example an unauthorised bank overdraft. In February 2017 and as reported in the Financial Times, the consumer group, reported that NatWest customers who had an unarranged overdraft of £100 for 30 days paid £180 in charges compared with the £24 they'd pay with a cheap payday loan or a cheap short-term loan. Payday loan providers and short-term loan providers are not allowed by law to charge more than £24 interest on a £100 loan for 30 days. In other words, high street banks are charging up to 8 times in interest what payday loan companies and short-term loan companies charge for having access the same amount of money for 30 days. It is not just NatWest. The Financial Times reported that Lloyds, Santander, and TSB charged as much as £160 on an unauthorised overdraft of £100 over 30 days. Compared with Britain's high street banks, it is hard to argue that payday loans and short-term loans don't offer much better value to the British consumer than an unauthorised bank overdraft. 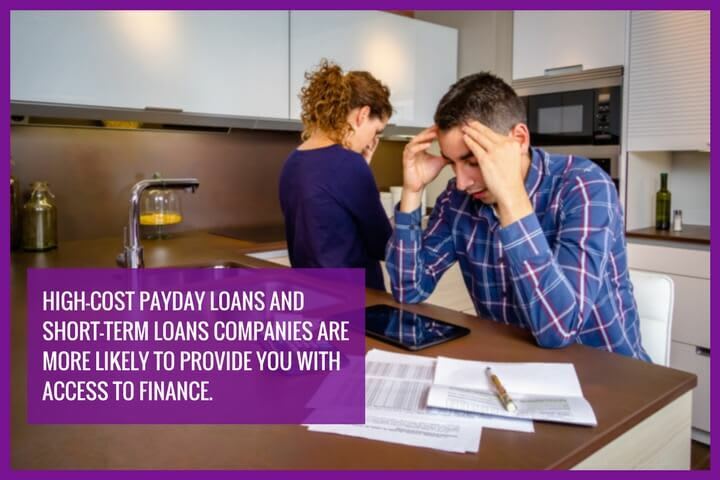 However, payday loans and short-term loans often come with a higher rate of interest than some forms of credit, like authorised bank overdrafts, credit cards, and longer-term loans from banks and building societies. Depending on your circumstances, there may be more competitive options for cheap loans if you have a strong credit rating. Does my credit history affect the cost of a loan? Your credit history does affect the cost of a loan. Your credit history is something that all lenders will want to see before they advance you any money. Your credit history is captured in a credit report. In the UK, there are three main providers of credit reports - Experian, Equifax, and CallCredit. What these three companies do is record whether you make payments on time to various different types of companies. It is not just your loan and credit card repayments that they record. They also record your payment history with utility companies (gas, electricity, and water), mobile phone providers, Sky, cable companies, and more. Every time you make a payment on time, you get a tick. Every time you miss a payment, you get a cross. Your credit report also looks at how much you have in your bank account and how much you owe in loans and on credit cards. It combines everything together and produces something called a ‘credit score’. Each of the three companies produces their own version of a credit score on you. When you apply for a cheap payday loan, cheap short-term loan, or cheap long-term loan, a loan company will look at all the information you provided them on your application together with your credit score. The higher your credit score, the more likely you will get a cheaper loan. If you have had problems in the past, your credit score will be lower and you will probably end up being offered a loan with a slightly higher interest rate. However, the thing to remember is that every payday loan provider and every short-term loan company you apply to will charge you much less in interest and fees than a bank would on an unauthorised £100 overdraft. Remember that they have a maximum amount they can charge by law, unlike the high street banks. Can I get a cheap loan with bad credit or no credit? A cheap loan with bad credit or no credit is going to be more difficult to find if you approach a high street bank or building society. However, if you have a poor credit profile, payday loans and short-term loans companies are more likely to provide you with access to finance. Short-term loan companies are set up to provide people with finance over a shorter period of time than banks and building societies. They are much more open-minded to working with people with bad credit or no credit than traditional financial institutions. The better credit record you have, the more likely you are to get a cheap loan. If your credit record is less than perfect, many short-term loan providers and payday companies will consider you for a loan and if they accept, they will charge you a higher interest rate so it will not be as cheap a loan as if you had a perfect or great credit record. 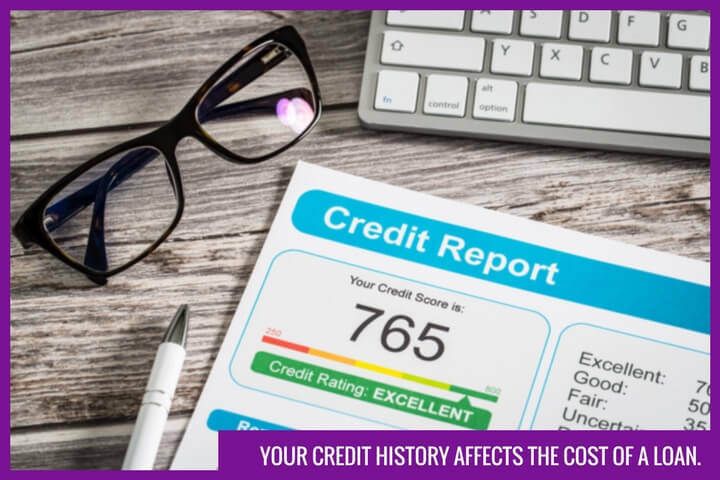 If your credit score is very low or you have no credit record yet, you may not be eligible for a short-term loan or a payday loan at all meaning there will be no chance of getting a cheap loan through these types of FCA-regulated companies. What are alternatives to low interest finance? There are many alternatives to low interest finance. If you are in a tight spot, is there anyone you know that could help you out? If so, that is great. Just make sure that when you borrow the money, you let your friend or family member know when they can expect repayment as money is still one of the reasons that people fall out almost more than any other reason. Before you apply for a cheap payday loan or a cheap short-term loan, are there any savings you can make straight away to get you through to payday? Living is expensive and there is no harm in asking your manager if you can be paid more because of your commitment to your employer and the work you put in for them. Failing a pay rise, why not ask your boss for an interest-free advance to be paid back in full on the next wage run? Are cheap loans better than high cost credit? Cheap loans are better than high cost credit because they will end up costing you less in fees and charges. However, for many people, it is becoming more and more difficult to get cheap loans through a bank or building society. One of the reasons why this is the case is that banks and building societies have been forced to restrict who they can lend money to after the financial crisis of 2008. Like banks and building societies, payday loan providers and short-term loan providers must do a credit check on anyone who applies for a loan and they must also do a check to see if the repayments are affordable for a borrower. However, short term loan companies and payday loan companies have been set up to help and to work with people with less-than-perfect credit histories with lower household incomes. The reason that payday loans and short-term loans are not as cheap as with banks and building societies is that more people fail to pay the loan back. CashLady works with a panel of 15 FCA-registered payday loan companies and short-term loan companies on a daily basis which offer between £80 and £2,000 over periods of 1 month to 12 months. Because we work so closely with our partners, we know the type of customers they want to work with so, by applying through CashLady we can guarantee that your loan request will only be put forward to the lenders who really want to work with you. Best of all, our service is free and you will pay exactly the same back to your lender applying through CashLady as if you approached the lender direct. If you are looking for a cheap loan and you have a good credit rating, you are more likely to get that cheap loan than if you have a poor credit rating or you do not have a credit rating yet. If you want to apply for a short-term loan or a payday loan through CashLady, please click here.